Election will always be a special film for me, apart from it being a great film it was the first movie I saw in a Hong Kong cinema back in October 2005 at the very cool (and I'm talking blast chiller cool) Broadway Cinematheque in Yau Ma Tei. It also has the the honour of being the second film I saw in a Hong Kong cinema, as it was the first screening I attended at the 2006 HKIFF, more of that another time though. This was the poster around town at the time, and great as it is, its not my favourite one for the movie. One of my favourite posters ever was banned due to the triad gestures it features. The design of this poster is so striking, I would do just about anything to get hold of one. If anyone could help out with how to find one, I would be eternally grateful. This poster also sits proud as my computer desktop image. The only Election poster I actually have is the Spanish one and although I like it, its nowhere near as cool as either of the Hong Kong ones. 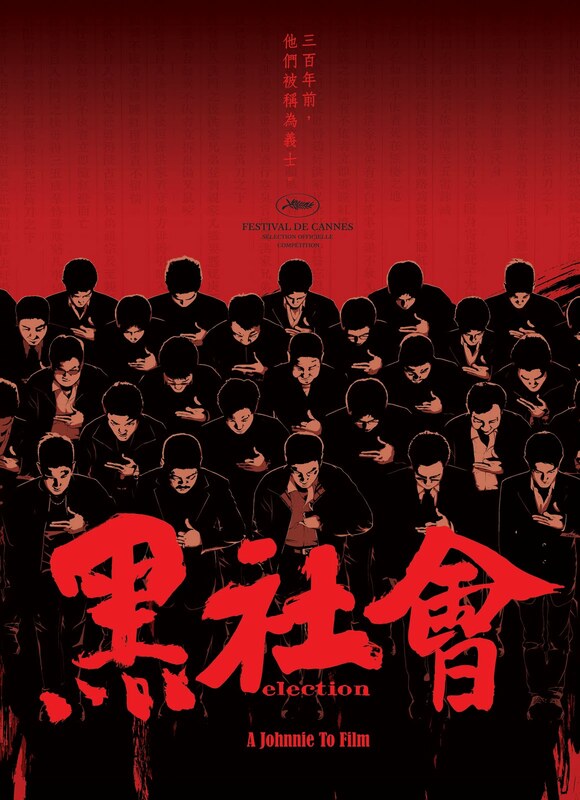 I will do a post about both Election films at some point in the future, I love them both but overall I think I have to give the edge to the second one, just. I do think Tony Leung Ka Fai is awesome in the first one, either terrifying, hilarious or both depending on your mood. Anyway back to the location part of the post, on the way to the Broadway Cinematheque we passed Yau Ma Tei police station, and during the film said police station features prominently in a pivotal scene. 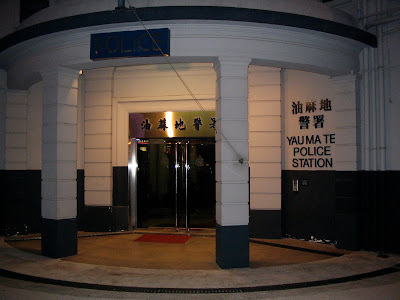 After the movie, on the way back to the MTR I stopped to take a photo of the station and that was that, I was hooked. 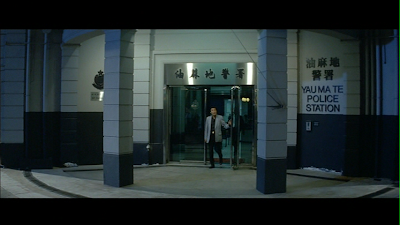 Ever since when I've been lucky enough to be in HK, I've spent at least part of the time looking for filming locations from some of my favourite movies. 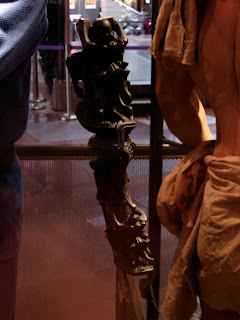 Here are a few photos of the Dragonhead baton everyone is so keen to get hold of in the movie, these shots were taken in the Hong Kong cultural centre in 2006. It was part of a display of props from Milkyway image movies that also included the muscle suit from Running on karma and a pair of judo keikogi outfits from Throwdown. My first film in HK was also a Johnnie To but it was the less-than-perfect Vengeance in 2009. 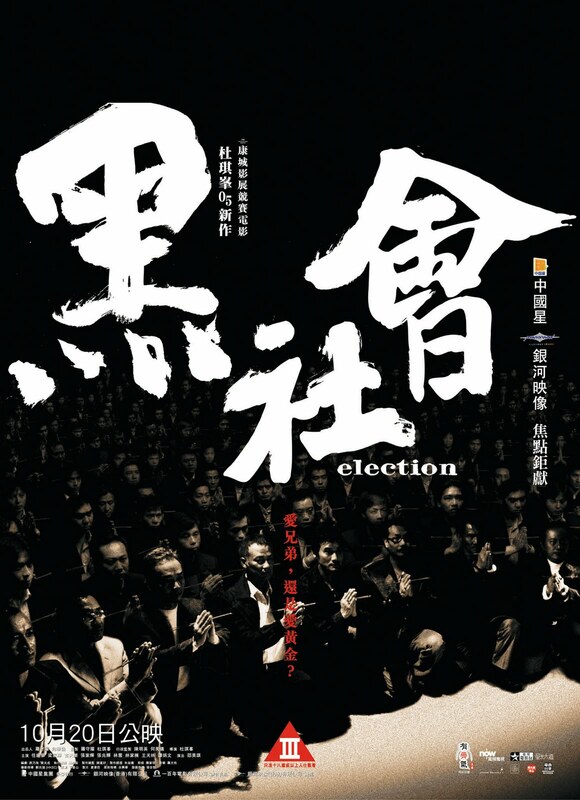 I have a poster for Election 2 but I've got the American one where it's been retitled Triad Election. Great shot of the main actors at a table. I had it laminated and it was hanging on my office wall until I rearranged things. That is a great poster Glenn, I have the Hong Kong one for the second movie but its not as good as the first poster, I will post it when I do the movies. I have seen both Elections but don't even remember them! Cool post, AHND! It's been a few months since I did a film locations post. I have to get back to them. I still have a bunch to put up. Really Kingwho? You really should re-watch them then! As I said the first one will always be special to me, but I do think the second one is the better film. Its a close call for me as to which is better, but I would love to hear what makes you say that 2 is fluffier! That's an adjective I could never imagine being used for either movie. I love stuff like this, it's what enjoying movies is all about. do this in 2015, 10 years after the first one, so that it can be driven by [social] changes I observe here." Thanks for the link Anonymous, very interesting and exciting!